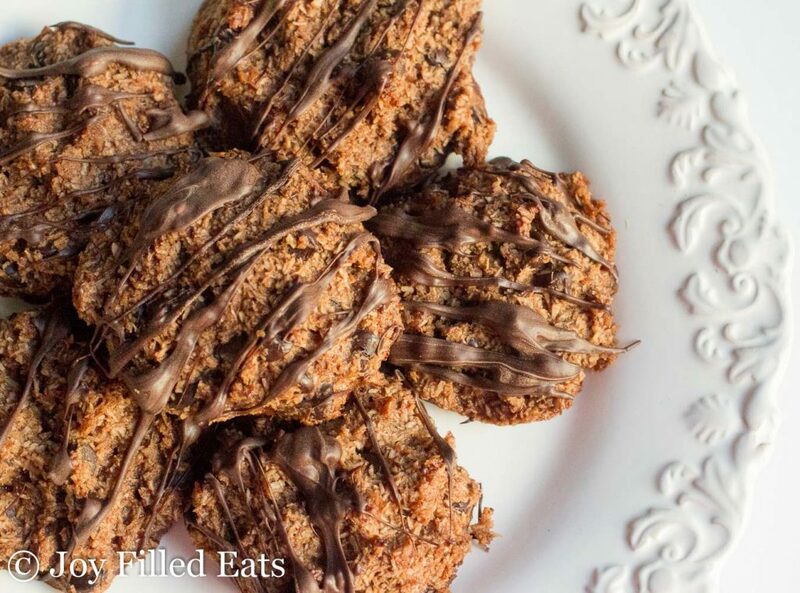 My Easy Chocolate Macaroons Recipe mixes up in five minutes flat. They are easy enough for the kids to help and delicious enough to please the pickiest palates. 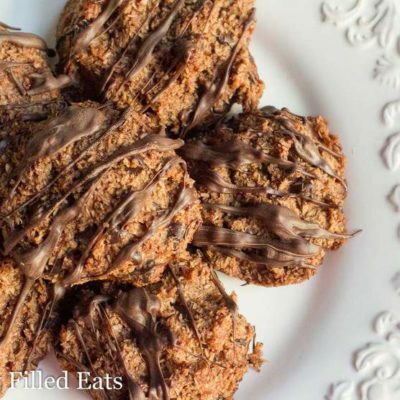 These have triple the chocolate with cocoa powder, chocolate chips, and a chocolate drizzle. 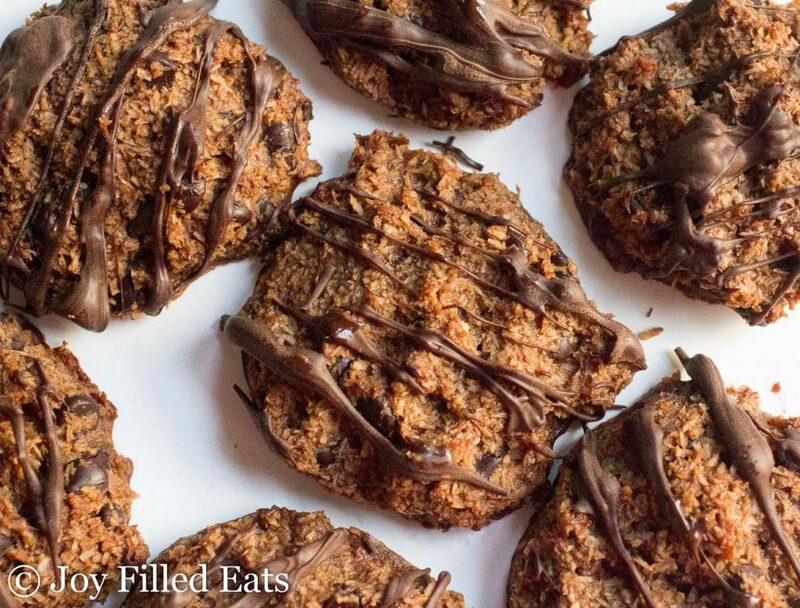 It’s pretty easy to make Chocolate Macaroons Gluten Free since their main ingredient is coconut. Add a little coconut milk, sweetener, and some eggs as a binder and you are good to go. Macaroons vs Macarons – What is the difference? I’ll never forget the first time I tasted a macaron. It was crunchy and delicate with chocolate ganache. It wasn’t even called a macaron it was a Nicolette cookie or something like that. And it was .75 in the Wegman’s bakery department. That was before the macaron crazy started. Now they are everywhere. Macarons are small sandwich cookies made out of almond flour, egg whites, and sugar with a flavored filling. They are delicious but all my attempts at converting them to low carb have failed. I think they are one of the few recipes that really do need white cane sugar. Macaroons are quite different. They are coconut based and chewy. They are equally delicious but with more of a homemade comfort food taste than a fancy French bakery taste. And they are a heck of a lot easier to make. You can’t make macarons if it is too humid or too hot or if you don’t have hours upon hours to spend on them. 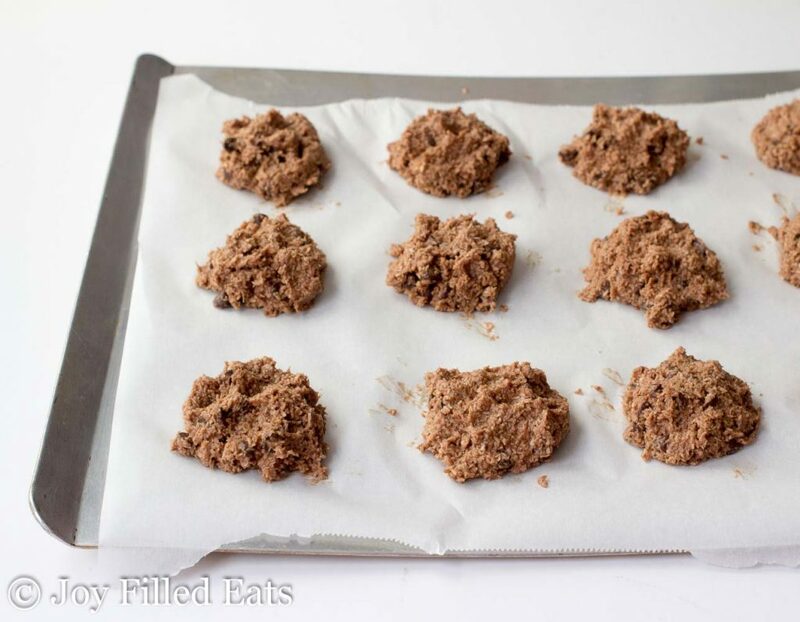 These macaroons are easy enough for kids to make in any sort of weather. Make sure to use chocolate you like! If you find 85% dark chocolate bitter and unpalatable use a sugar-free milk chocolate instead. I hope you enjoy this Easy Chocolate Macaroons Recipe! 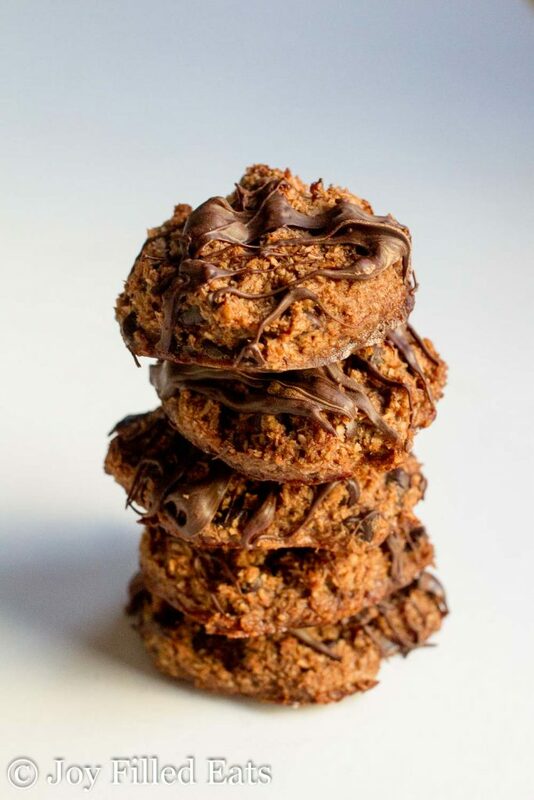 For a slightly less chocolatey version try my Chocolate Chip Coconut Macaroons! Bake for 25-35 minutes or until the edges are golden and the cookies are slightly firm to the touch. Melt the chocolate chips and coconut oil in the microwave stirring every 20 seconds. When they are mostly melted stop and just stir until smooth. Drizzle over the cooled cookies. 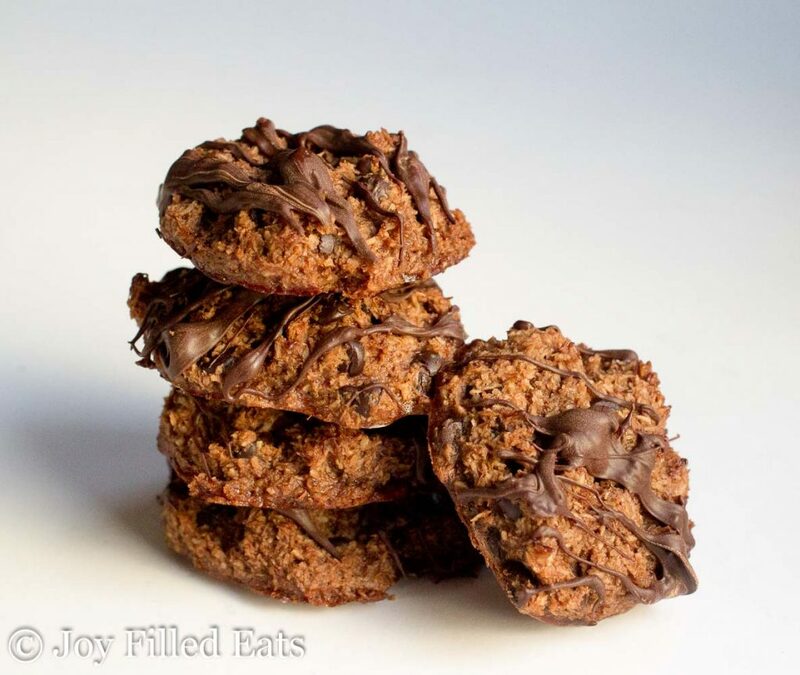 I made these yesterday and LOVE the taste but the mix is runny and the cookies ran completely flat. Could you tell me what I can add to make them a bit more solid? I followed the directions completely. Maybe I mixed to much?? 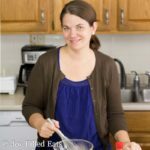 Thank you for all your recipes! I Love that there are so many regular meals that can be made for THM. You do not need to post this public as I really just want to know how to bulk up my cookies. Did you use 'finely shredded' coconut? That is necessary for this recipe. Will they keep well in the fridge if I make them over the weekend for company on Monday night? Yes! I did that last week. Don't know if my oven runs really hot, but mine cooked in 20 minutes! I burned the first batch cause I went to change the laundry thinking I had lots of time :( They are super yummy though they are better if you don't burn them.